With a smooth alto tone and a subtle sultry energy in her delivery, Felicia Alima is a fresh new voice in local R&B. This debut EP, featuring smooth R&B jams interwoven with a club remix, is a fantastic introduction to the voice of this Australian born diva. The harmonies are striking and delicate and the production is very tight and full, with acoustic guitars winding through full kick tones and techy snares. The title track opens the EP with an immediately impressive sounding mix, with a romantic guitar progression hinting at a depth to the tune. However, while the sounds remain solid, the song features some uninspired and uninspiring lyrics, repeating phrases and forcing rhymes into the structure. The trend of good songs with lack-luster lyrics is maintained throughout the disc. Granted, these are slow jams which are admittedly not intended to push too many poetic boundaries, but the lyrics on this offering often sound so forced that they sometimes get in the way of the vibe. However, with very tight production and solid songwriting, tunes like “Nobody Else” and “Leavin’ Here Tonight,” which was nominated for a MAMA earlier this year, give Alima a solid foundation to demonstrate her considerable vocal talent. 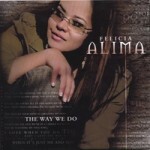 The last song on the disc, “Stranger,” has a very unique and moving progression, with Alima’s voice dancing with nylon string guitar tones and harsh percussion. It is a very strong finale for this collection. Alima is a natural talent with an untrained, yet very skilled voice. With a bit more control, a bit more training, and a bit more finesse, she has the potential to sound world-class. However, at times her lack of training shows in her diction and phrasing. Some of the soft notes lack control and the low notes seem a bit strained. But the material that made it to this disc is a fantastic demonstration of young, raw talent that will benefit greatly from additional stage experience, studio time and learning what fits her voice and style. This new release from a rising star in the local urban music scene is a solid showcase of a soulful young voice. In time, her natural attributes would meld well with more experience and training. With the proper dedication, energy and musical development, Alima may evolve into one of the finest voices around.